Whoever we are and wherever we are called to serve God, He wants us to be wholehearted in living for Him. In fact, He delights in using ordinary people to build His forever Kingdom. We'll look at how God enables us to serve Him and why it is worth it. We'll also think about how we can be involved in taking the Good News to the ends of the earth, even without leaving home. 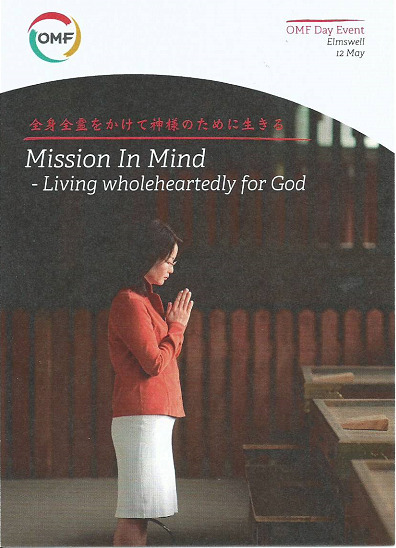 Speaker: Chris Payne - as the field director for OMF Japan, he'll share some stories of how God is at work in Japan, home to the second largest unreached people group in the world. There will be a bring and share lunch afterwards for the opportunity to enjoy some fellowship.